If you’re looking to get your taxes prepared in East Brunswick or Cranford, NJ, Demian & Company has it covered. We serve customers throught New Jersey and provided them with reliable tax preparation services each and every time. But you don’t have to just take our word for it. View some of our customer reviews from this most recent tax season. We love what we do and customer service is our number one priority. Anyone can file tax returns. In fact, the IRS estimates that it will take you an average of 16 hours to handle the records keeping, paperwork, and filing for a standard 1040 form (filled out by 69% of all taxpayers). However, if you have more than basic tax needs, a professional can help you to take advantage of laws and deductions that can save you money. We can help you to review your financial status, your assets, and your options to ensure that you are utilizing every law that can help you to minimize tax liability. Contact us today for a consultation to see how we can help. Tax planning can help you to predict and minimize your tax liability so that you can take better control of your finances and your assets. The team at Demian & Company can work with you throughout the year to steer you through the complex decisions that will affect your taxes. 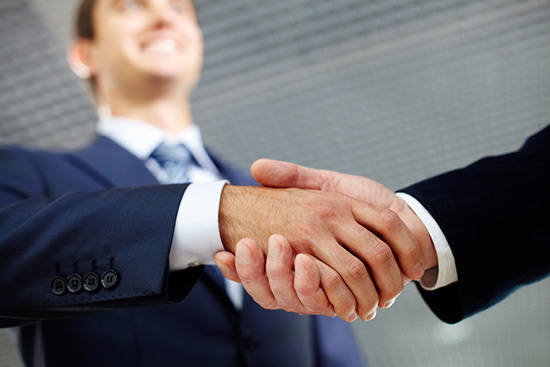 We can also offer advice on choosing the best options for minimizing your taxes, and reducing liability. Tax planning can help you to protect your investment and your assets, no matter what they are. Let the experts at Demian & Co review your prior year's tax returns to ensure that you maximized your savings. We can help you go over your previous filings to ensure that everything is in order, and that you are taking advantage of deductions where necessary. If you've already filled out your current year's filings, we can also help you review them to ensure accuracy before you submit. TIME IS MONEY, DONT WASTE IT GETTING THE MOST IN YOUR RETURN. TRY OUR CONVENIENT, INTERACTIVE REMOTE TAX SERVICE. INTERACTIVE COMMUNICATION WITH OUR TRUSTED CPA AT YOUR CONVENIENCE. Demian & Company, LLC understands that the first quarter of the year is usually a very busy one. In response to our clients' requests and in order to make tax return preparations convenient for you, we have implemented Interactive Remote Tax Services. All you have to do is email, fax or mail your tax refund today! Your tax return can be as easy as 1, 2, 3! Email: Receive a Secure Email to which you can attach your documents. Portal: Receive an invitation to our client portal and upload your documents from your computer, tablet or phone. Fax: Fax a Cover Sheet and Tax Information to (877) 768-1323. Take a 5-10 minute phone interview with a tax specialist. We offer video conferencing as an option too! Receive your Tax return at your home or office within 24 hours via priority delivery. That's it!! It's that easy! There is no need to take time off from work to do your taxes! For more information, please feel free to contact our office today! Handling an IRS audit can be difficult, but you don't have to face it alone. Nothing strikes fear in people more than receiving an IRS Audit letter in the mail. Audits take significant time away from your business and family, requiring you to gather records substantiating each and every item reported on your tax return and develop a comprehensive understanding of tax law. Many taxpayers decide to handle a tax audit themselves, and discover they may have been "penny wise," avoiding a representative's fee, but "pound foolish," because they received a substantial bill for a significant tax deficiency. IRS Auditors know that most people fear them and are ignorant of their rights. As a result, they know they can use that fear and ignorance to their advantage. Rarely do our clients even have to talk with the IRS. 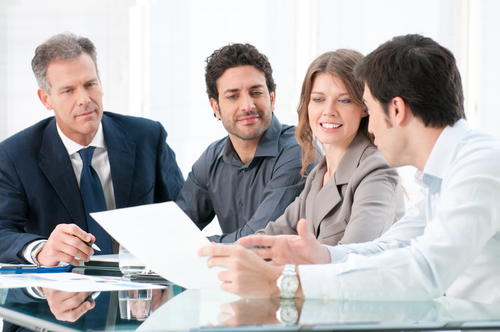 While the exact advice we offer will greatly vary depending on your situation, we are highly experienced with IRS audit representation and we can help you to reach a solution. From stopping wage garnishment and bank levies to working out comfortable payment installment agreements with the IRS, the experts at Demian & Co can help you to get your life back. No matter what you owe, we can help you to reach a settlement. Depending on your situation, you may qualify for an installment agreement, partial payment installment agreement, or an offer in compromise. We can also help you to create a strategy to lower your IRS debt or file bankruptcy depending on your situation. Your personal tax situation is important to us and we can help you to make the most of it with our flexible, creative tax services. Demian & Company's CPAs are proud to offer personal assistance to our clients, in and outside of our New Jersey offices. If you need help, contact us for a consultation. What Are Your Options for Settling Your Federal Tax Debt? 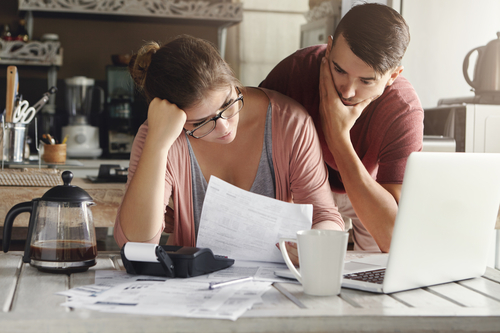 Dealing with tax debt can be a stressful and financially straining situation, especially if you’ve accumulated a large amount of debt over several years. The IRS does not take debts lightly, and can be persistent in their attempts to collect. If you’re feeling the strain of your federal tax debt and you’re looking for a way out, you might actually have more options than you realize. In fact, there are 5 basic options available for taxpayers to settle their debts with the IRS. Here’s a bit about each of them. An installment agreement is the IRS’s term for a payment plan. Contrary to what you might think, the IRS doesn’t actually want to take collection measures against you. They would much rather work out a payment plan that allows you to pay off your debt over time. This is not typically something you want to attempt to do on your own, and we strongly recommend that you work with one of our CPAs to set up your installment agreement. We’ll help you figure out just how much you owe in unpaid taxes, including penalties and interest. Then, we’ll submit the forms to request an installment agreement. You can even choose the day of the month and the amount that you are able to pay each month. There are certain qualifications you must meet to receive an installment agreement, but we can walk you through these as well. If your request is approved (and it usually is, if you meet the qualifications), you’ll make monthly payments to the IRS until your debts are covered. For those with extremely high tax debts, the IRS will sometimes offer a partial payment installment agreement (PPIA) to help you settle your debts. You have to owe at least $10,000 to the IRS and not be in bankruptcy, as well as meet a few other criteria in order to qualify for a PPIA, but a CPA can walk you through the process to determine if you are eligible. A PPIA differs from an installment agreement in that you don’t necessarily have to pay off the entirety of the tax debt. If you are approved by the IRS for a PPIA, as with a standard installment agreement, you will make regular monthly payments to the IRS towards your tax debt. However, the agreement only lasts for a specified period. As long as you make every payment throughout the agreement, the remaining debt after the term of the installment agreement is forgiven. An offer in compromise is another option that allows you to settle your tax debts for less than you owe. However, qualifying for this option is much more difficult and time consuming than the options above. You will have to submit a complete packet of documents, along with an application fee and initial payment, to the IRS. In the documents, you will submit an offer of how much you feel you are able to pay (either in a lump sum or through periodic payments) in order to settle the tax debt. The IRS will examine your income, expenses, asset equity, and ability to pay, and compare these numbers to the amount offered. If they feel your offer is the most they can expect to collect in a reasonable period of time, they will accept your offer and you will be able to settle your debts following the terms in the package. If for any reason you don’t qualify for the options above, you also have the option of filing for bankruptcy in order to help settle your tax debts. When filing for bankruptcy, you will have the options of filing a Chapter 7 or a Chapter 13 bankruptcy, and each of these treats tax debts in a different way. Generally speaking, Chapter 7 bankruptcy is the better option for settling tax debts, as many of those debts may be dischargeable, so long as they meet certain criteria. Speak to one of our CPAs to get more details on whether or not this is the right option to settle your debts. If you’re experiencing temporary financial difficulties, you may have the option of being declared “Currently Not Collectible” by the IRS. To qualify, you must have little to no money left over after paying for basic necessities like utilities, rent, and groceries. If this is the case, the IRS will set your account to the “Currently Not Collectible” status and will hold off on any attempts to collect on your tax debt. This can give you some much-needed breathing room as you get back on your feet and get your finances back in order. However, bear in mind that the tax debt is still there, and it is still collecting interest. Still, this is a good option for anyone who expects to have the funds to pay off their debts soon, but wants to avoid collection actions from the IRS. If you have unsettled tax debts with the IRS, contact our tax settlement firm online, using our contact form, or call (908) 272-4451. 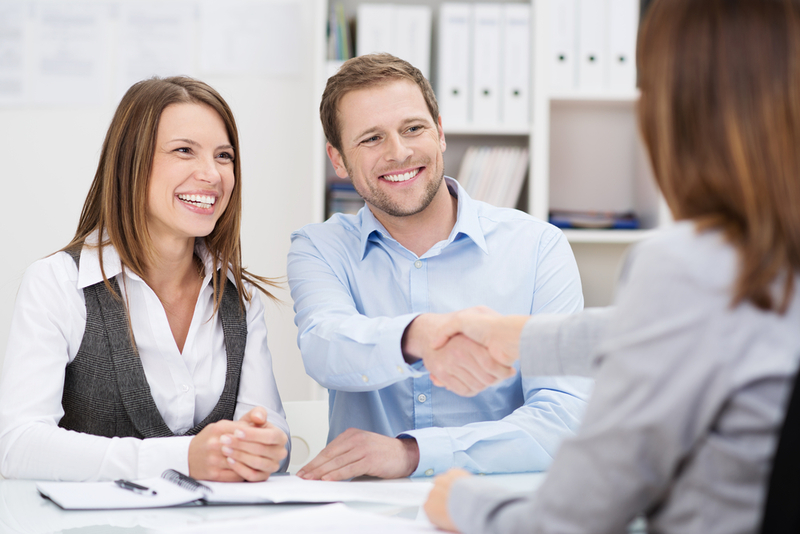 We’ll help you to determine which settlement option is right for you. Owe more than $10,000? We have helped our clients settle for pennies on the dollar. At Demian and Company, we work with the IRS so you don't have to. When you are faced with an audit by the IRS you may not know where to turn or what to do. We specialize in working with you to solve your tax problems and negotiate the lowest possible tax debt settlement allowed by law.